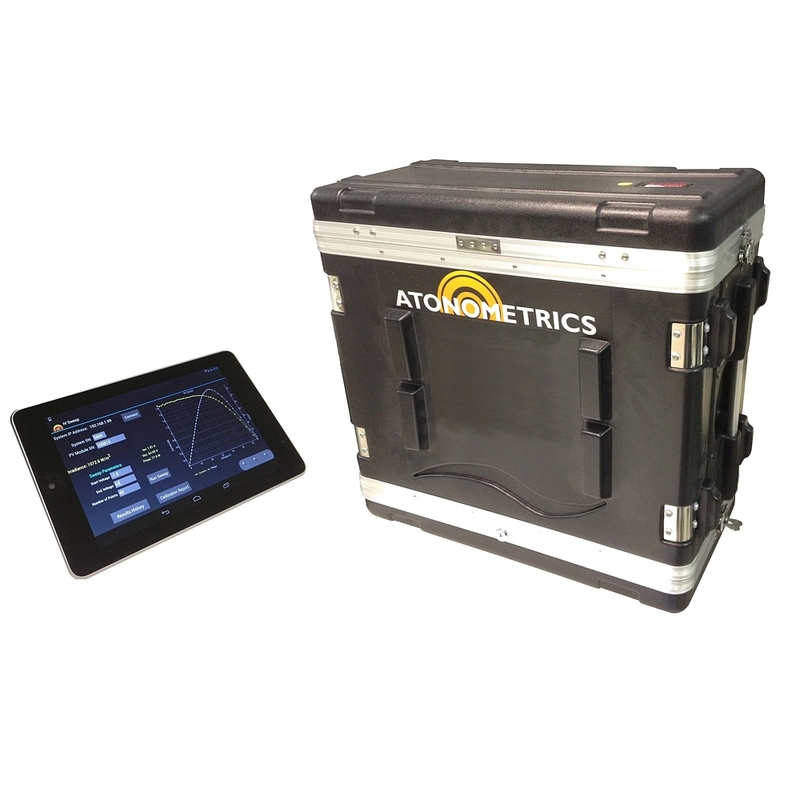 The Atonometrics Field Calibration System allows PV module I-V characteristics to be measured in the field and corrected for irradiance and temperature. Users may calibrate modules to measure their power conversion efficiency, or to convert a standard, production module into a reference module capable of measuring solar irradiance. 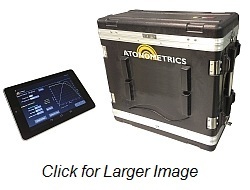 The system may also provides for field-calibration of Atonometrics Irradiance Measurement Systems and Atonometrics Soiling Measurement Systems. The system consists of a rugged, outdoor-rated I-V Measurement System for PV modules, a calibrated PV reference cell for irradiance measurement, temperature sensors, and an accompanying user interface for system control, calculations, and data logging. With the Field Calibration System, users can avoid the time and expense associated with shipping the modules to remote calibration laboratories. Importantly, avoiding PV module shipping also allows users to eliminate the risk of broken modules, cracked cells, or other module damage that may invalidate calibrations performed at remote laboratories. Outdoor calibrations of PV modules also have several advantages over indoor flash testers. These advantages include the use of natural sunlight with a better spectral match than artificial light sources, no optical uniformity issues, and automatic calibrations at operating temperatures. Contact us today for more information on the Field Calibration System or our other products.